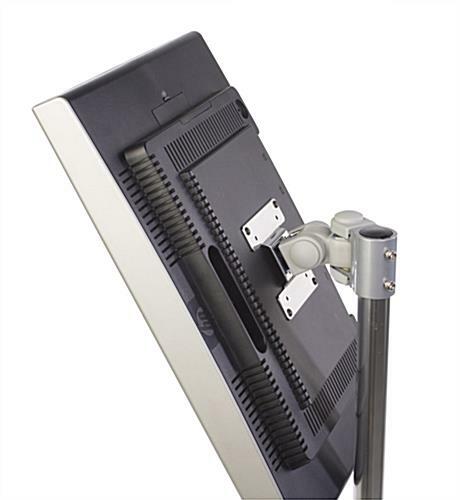 Ready to Ship Monitor Stand for 15" LCD TVs For Sale Here Helps Direct Visitors! 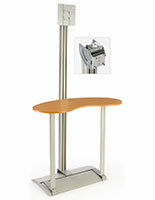 This Monitor Stand Attracts Customers to Your Business! Buy Online Today! 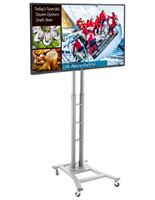 This monitor stand, also called a flat screen plasma television stand or flat panel LCD TV mount, features an adjustable bracket that makes viewing your message easy. 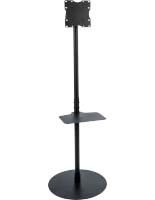 The bracket can be placed at any height along the post making this a very versatile display. 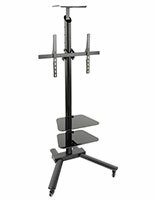 This plasma television stand, monitor stand, allows your television to be angled and swivel. Rotate this bracket to change from a horizontal to a vertical orientation with no tools needed! 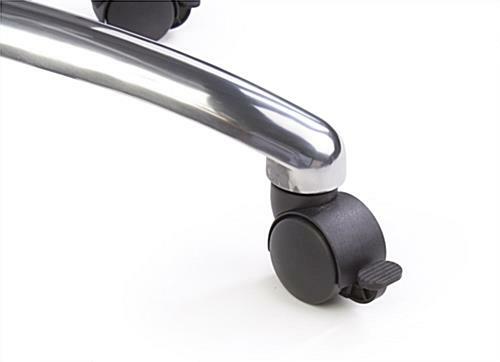 The base of the monitor stand has (5) wheels that lock so that, once you have moved it to where it will be displayed, it will stay in place. We send this monitor stand for 15" TVs unassembled to keep shipping costs down but it easily assembles in a few minutes with the tools that are provided. 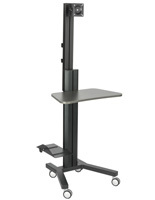 A plasma TV stand, monitor stand adjusts so that it can be seen from a variety of angles. 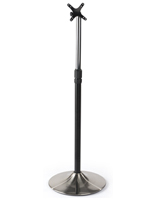 This simple post style portable monitor stand raises from 46" to 68" in height, ensuring that it may be placed at a level that can be seen most. 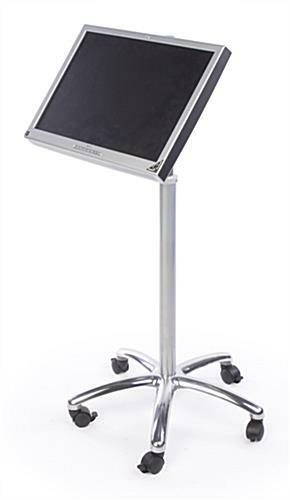 Use this monitor stand as a guide sign, in business meetings, at schools and even for videoconferencing. This monitor stand has a VESA compatible bracket that will fit a 15"-27" LCD or plasma television that weighs no more than 22 lbs. A VESA bracket is a standard bracket that fits most televisions including Sony, Vizio, and Panasonic. 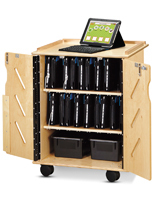 We include four (4) screws with this stand. They fit most televisions. However, some televisions require special screws that may be purchased at any hardware store. 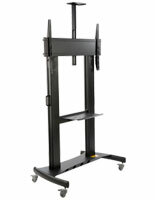 Buy a ready to ship monitor stand for 15" LCD TVs for sale at wholesale prices today!